PYRISMA® T81-23 SW Liquid Blue | Pearlescent Pigments | Pearlescent Pigments & Glitter | Pigments | Kremer Pigments Inc.
Cobalt blue glimmer interference pigment, coated with Titanium and Tin Oxide. This extremely fine pigment (particles smaller than 15 µ) provides in combination with bluish red pigments vibrant purple surfaces and in combination with warm transparent yellow pigments interesting grays. 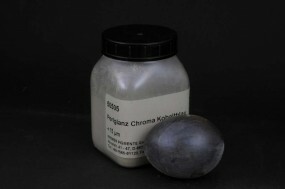 Chemical description Mica coated with titanium dioxide, tin oxide and additives. Customer evaluation for "PYRISMA® T81-23 SW Liquid Blue"